Today marks the beginning of "Teacher Appreciation Week", a special time set aside across the nation to recognize the hard work and dedication of our teachers. 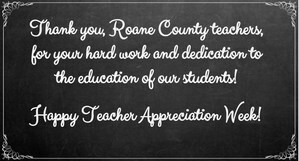 Roane County teachers, we want you to know that you are appreciated more than just one week out of the year. We see the time, energy, money, tears, sweat, and love that you give each day to make sure our students are educated and cared for. 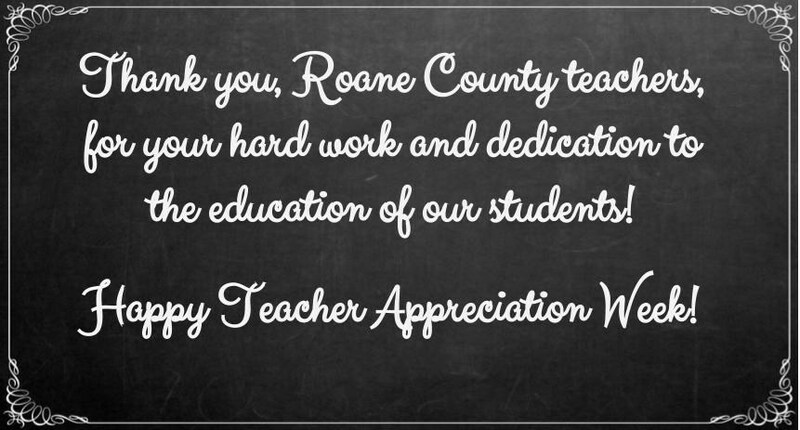 We see the hours you work beyond what you are required to ensure that the students of Roane County are well-rounded, interested, engaged, and accepted. We see the devotion you have to your purpose as an educator when you show up during your "summers off" to learn, grow, and develop new skills and strategies to better yourselves for your students. We see the hugs, handshakes, high-fives, and hellos you greet your students with as they come in the door, hoping you'll be able to take away some of their stress, worries, and baggage that so many bring with them. We see you call them "yours" and how concerned you are as they leave your classroom, graduate, and head out into the world. We see you question yourselves and whether you're doing enough to help your students be the best they can be. We see the difference that you make each and every day. We see you, and we appreciate you!